Welcome to the latest instalment of our weekly newsletter, it's been a sunny week here at Hartford and the course is in fantastic shape, if you've not played here recently try your best to visit us and play one of the best conditioned courses in Cheshire, you won't be disappointed! Please remember that you can keep up to date with all of our latest news and goings on by liking us on Facebook and following us on twitter. The US Open starts today at Chambers Bay Golf Club, the course was only opened in 2007 and many of the professionals in the field had never even played there before this week, for this reason it's difficult to pick a winner because the course is such an unknown quantity. Phil Mickelson (18/1) - Lefty has never won a US Open and it's the only major missing off his glittering resume. He will be highly motivated to complete the career grand slam and he definitely has the short game quality that is needed to win around a tough links style championship course. He also shot a fine 66 in the last round of the St. Jude Classic last week showing that he is coming into form just at the right time. Justin Rose (20/1) - remarkably good odds for the 2013 US Open winner and he finished in twelfth place last year. In the last three US Open's no player has hit more fairways and greens than Rose and he also won recently at New Orleans as well as a runners up spot in the Masters and Memorial tournaments. Rose is sure to feature here. JB Holmes (80/1) - When he's on song there aren't many that can keep up with big hitting JB. His great power gives him a chance around any golf course and if he gets off to a good start hitting some of the narrow fairways he could well feature on the leaderboard. He is also a good putter and chipper and he has won this year on tour at Houston. Francesco Molinari (100/1) - Molinari is one of the straightest drivers of the ball in the world. For this reason he has to have a good chance around a course where the fairways could be as narrow as just 20 yards wide in places. He has been in fine form this season with a third place finish at the recent Memorial tournament. Brooks Koepka (45/1) - Brooks is a serious player and worth considering for the US Open. He finished in the top four in last year's US Open and has won on the US Tour at the Phoenix Open already this season. Brooks is a long, straight hitter of the ball and is solid with the putter whilst he is playing full of confidence after a third place finish at St. Jude last week. The Maddock Trophy, named after our Honorary President and our first Captain Colin Maddock, was played on Sunday. The competition is a Stableford board competition and it was won by 34 handicapper Christine Paxton with a fine score of 43 points, Christine had two runners up finishes in her last two ladies competitions so she's clearly been on form but she went one better on Sunday and won her first board competition at Hartford. Gareth Eaton was unlucky to finish in second place just a point off with 42, after a shaky start he fired four birdies and played the back nine in one under par gross. Gareth visited us for a fitting session for a new driver and he went for the new Callaway XR driver, this clearly did the business for him on Sunday and he also has the bonus that if Phil Mickelson wins the US Open this week he gets the driver for free! In third place was another one of our promising juniors in Javier Lang who scored 41 points. Best dressed golfer award definitely went to Phil Carr, here doing his best Rory Milroy impression, who splashed out on this nice new outfit and it helped him to play pretty well and score 38 points. The next competition is this Saturday at 12pm and it's a new one for us, it's called the Sunningdale Pairs, the format is based on the well-known Sunningdale foursomes and it should be good fun to see how well everyone gets on! Steve Hulse won the June Midweek Medal yesterday with a fine nett 63. He defied the rainy conditions to blitz around the course and the highlight of his round was a birdie on the tricky eighteenth hole. Steve needed that birdie to secure first place as Bill Powell was the clubhouse leader with a nett 64. It was a day of good scoring and in third place was the in-form Phil Carr with a nett 65. The Midweek Order of Merit table shows Martin Major at the top just ahead of Steve Hulse. The ladies and seniors played their annual summer match on Tuesday. The seniors had the upper hand last year and on this occasion they came out on top again but the main emphasis of the day is not about the result or the winning and losing but more of the social aspect and the fact that two of the strongest and most important sections of our club can join together and have a good day. Here are the first group just about to tee off - Lady Captain Annie Rowland and Audrey Kettle and Seniors Captain Roger Wilkinson with partner Dennis Cherry. The ladies played a nine hole Stableford on Monday evening, the winner was Di Sommerville with a score of 19 points, Di has been working hard on her game over the last few weeks and she finished third in the recent ladies Clare Cup so it was good to see her claim a victory. In second place was the in-form Christine Paxton with 17 points, clearly playing off her new 32 handicap didn't cause any issues for Chris! In third place was the ever consistent Elspeth Forbes also on 17 points. The next ladies competition is on Sunday and is an 18 hole Stableford. The Ladies Spring Knockout final will be between Elspeth Forbes or Sarah Dee versus Alison Worrall. We have now launched a loyalty card scheme in which you can enjoy a FREE game of golf, it's a very simple scheme - we give you a card that gets stamped every time you play a round of golf and when you reach five stamps the sixth time you visit you get a FREE game of golf! This means that you can save up to £16 on the cost of a round by using our loyalty card, it should appeal to the many golfers that visit us regularly for rounds of golf but aren't club members and will give you added value to your games. Please note that the Loyalty Card can be used by any adults paying the normal price green fees so it doesn't include seniors or juniors as we already offer these groups a discounted green fee rate. Next time that you play a round of golf make sure that you pick up your Loyalty Card and you can start saving straight away! 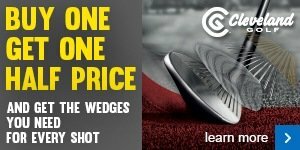 We are now running a 'Cleveland buy one wedge get one half price' offer, Cleveland were the number one selling wedge brand in the country in 2014 so they clearly know something about making decent wedges! We can also offer you a little bit of an extra service through a free wedge gapping or custom fit session so that you can make sure you get the right lofts to suit you, for example how many of you use a gap wedge or even know what one is? Conveniently we have a Cleveland wedge fitting day coming up soon, with a fitting session we can show you how important it is to get the right distance gaps between your wedges and you can start shaving shots off your score. With a normal selling price of £79.99 per wedge you can buy two Cleveland wedges for just £119.98 - a saving of £60 over the RRP of these clubs! Our trade in deals always prove popular and I'm sure that this promotion will be no different - we are declaring a shirt amnesty! 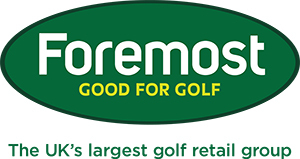 You can get £10 off the price of a new golf shirt in the shop if you trade in an old golf shirt, the promotion is available on any shirts priced at £35 or over and includes leading brands such as Nike, Adidas, Galvin Green, FootJoy, Under Armour and Ping, you can trade in any old golf shirt against these. Having seen some of our members old shirts they could well be worth trading in! But seriously we will shirts such as these new ones from PING as part of the deal so you can pick up a real bargain. The trade in deal will run from this Monday up to 19th July so you have a month to take advantage of this great offer and get your golfing wardrobe upgraded! We're pleased to announce that we have a TaylorMade fitting day booked in for just after the Open Championship on Tuesday, 21 July from 1pm-5pm. As always we will be offering FREE fittings on the new TaylorMade 2015 range and there will also be special offers on the day! 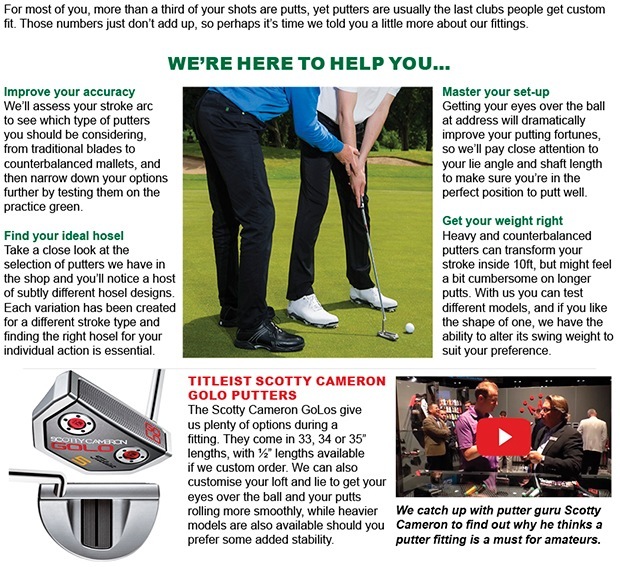 If you would like to book a fitting slot please contact me here. 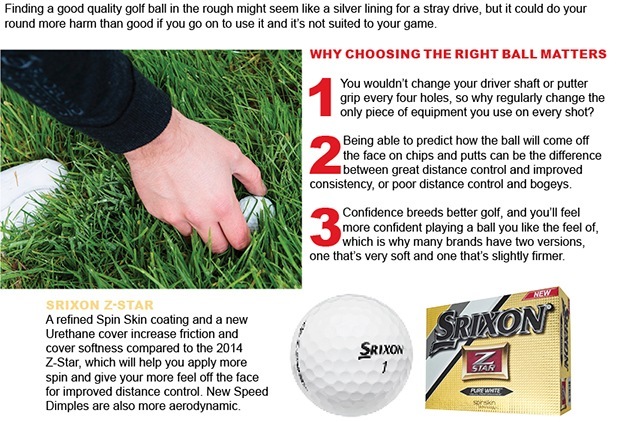 Our Srixon ball fitting and Cleveland wedge fitting day is coming up soon on Thursday, 2 July from 12-4pm. We are doing 15 minute ball fitting sessions between 12-2pm and then between 2pm-4pm you can book a 30 minute slot for a wedge fitting, we still have two slots left at 2.30pm and 3.30pm - if you would like to book one of these or a ball fitting session please contact me here.